Why don't you make this Monday a #MeatlessMonday with this delicious and healthy Mediterranean and Vegetarian Stuffed Eggplant! (Not a fan of eggplant? You can easily switch it with zucchini if you'd like!) 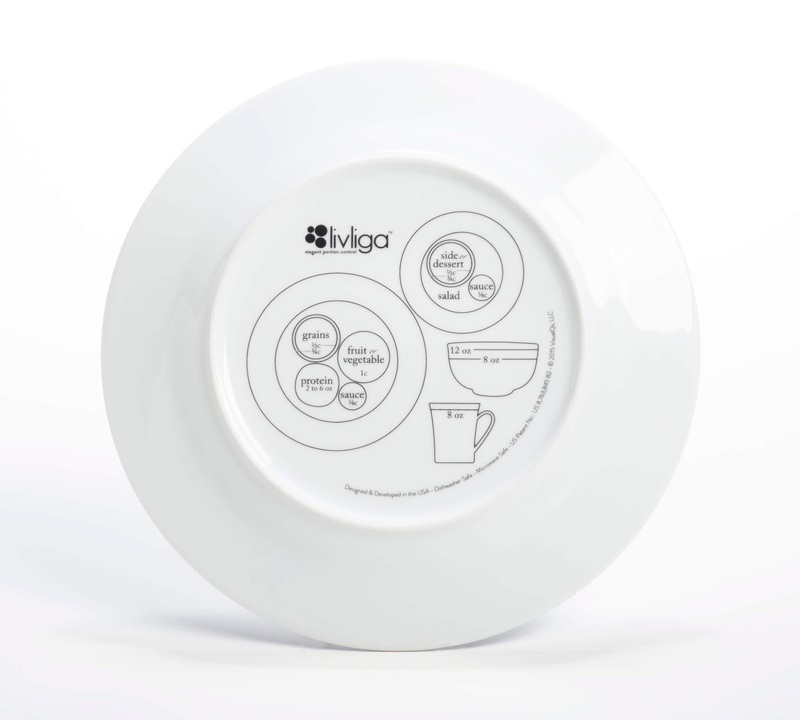 And don't forget to serve it up right-sized on Livliga! 1. In the super sized world we live in, the first step is to right size our plates so they are diabetes-friendly. Did you know our plates have grown in size by over 51% in the past 30 plus years? A right-sized diabetes plate needs to have a well of no more than 7 inches. The rim should be between 2 -2 ½ inches. A right-sized plate allows you to right size your portions. 2. 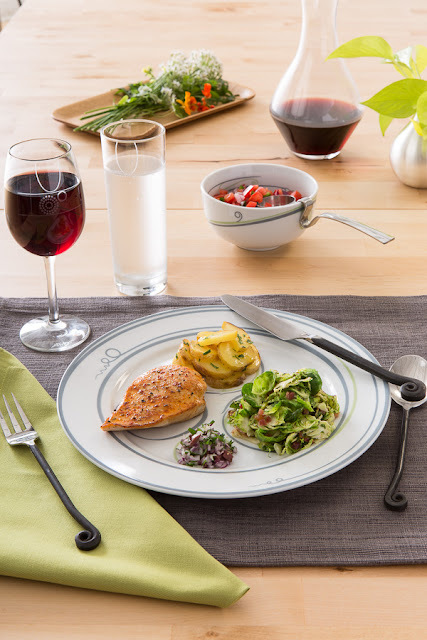 Diabetes portion plates provide a guide for serving up appropriate servings. They give you the framework to eat just what you need. A diabetes-friendly plate allows you to see what a standard serving size really looks like. 3. When you are living with diabetes it is key to count your carbs so you can manage your blood glucose levels. The way you do that is by measuring your servings. With a go-to diabetes portion plate it makes it much easier to know your serving sizes and count your carbs. 4. When you have been diagnosed with pre-diabetes or are living with Type 1 or Type 2 diabetes it is important to eat a balanced diet, which includes protein, vegetables, whole fruits and wholesome grains. In addition to helping you count your carbs, diabetes portion plates remind you to eat a balanced meal so you can provide your body the nutrition it needs. 5. So much of our success in living a healthy lifestyle with diabetes is becoming aware of what we eat in a mindful way. A diabetes portion plate helps us to be mindful. Being present when we eat, being aware of each bite, and savoring our meal allows us to be in control of our food environment and the amount we eat. If we are not paying attention it is very easy to overeat…we are simply not aware. Mindfulness is key. 6. One of the best outcomes for using diabetes portion plates is that they help us create new healthier eating habits. By using your portion control plates everyday at every meal you can replace old habits of unhealthy eating with the new habit of right sized portions and balanced meals. 7. When living with pre-diabetes or diabetes it can seem overwhelming to get control of your food environment. That is why it is important to invest in the tools you need to succeed. Diabetes portion control plates are a simple tool to give you the control you are seeking in order for you to succeed in your healthy lifestyle journey. 8. Having right sized plates with serving sizes built in allows you to be in control of what you eat, how much you eat as well as the types of food you are eating. It puts you in the driver’s seat. By being in control of your food environment you can also further customize the foods you eat in the specifics amounts that are right for you to best control your diabetes and blood glucose levels. You deserve to succeed and you are so worth it. Living with diabetes can sometimes feel overwhelming. You are not alone. To help you on your journey of managing your diabetes and living as your healthiest you, Livliga has put together a simple and easy-to-read ebook focused on portion control and the tools to help you succeed. Have a hankering for steak and fries? This week's Monday Motivational Meal includes both! It is oh-so-good and served up on Halsa! There is nothing better than a home cooked meal. What I have learned over the years is that when preparing a meal simpler is usually the best. Often a mixture of herbs and spices to add flavor to your food is all you need. Previously I have shared recipes for dry rubs for your meat as well as squash. There are so many health benefits to adding herbs and spices to your meals in addition to adding mouthwatering flavors. People often get marinades and rubs confused. The main difference is that the marinades tend to tenderize the meat as the protein marinates whereas a rub is more of a flavorful coating that adds texture and taste to the protein. Just as your meats can benefit from a flavorful rub, so can your vegetables. Here is a rub recipe I have developed that makes just about any vegetable taste yummy and works well if you are roasting a medley of vegetables too. Make a batch of it, put it in an airtight container, and then you can have it ready whenever you want a quick rub to spice up your veggies. Typically I use about a teaspoon for a “serves 4” recipe. Make sure to adjust the amounts according to your palette and preference. Store in an airtight container. Make sure to label it so you know what it is. Use as desired. Should provide 4 or 5 uses. Make bigger batches if desired. Looking for a beautiful, tasty and make ahead Brunch or Easter meal? Our Facebook Live in March is just the answer! There is nothing more beautiful than a freshly made frittata. It can serve many and is great for a brunch or holiday meal. Check out a Greek-style frittata or a delicious Spinach, Mushroom and Feta frittata. So many varieties...you choose! And then choose your favorite Livliga pattern to serve it up on (we chose Halsa)!